On February 11, 2015, the Farquhar College of Arts welcomed neuroscientist and musician Daniel Levitin, Ph.D., to Nova Southeastern University as part of the college's 2014-2015 Distinguished Speakers Series. As Dean of Arts and Humanities at the Minerva Schools at KGI and a professor of psychology and neuroscience at McGill University, Levitin helps people understand the science behind creativity, learning, leadership, and productivity. He is also a visiting professor at Stanford University, University of California-Berkeley, and Dartmouth, and he directs McGill University's Laboratory for Music Cognition, Perception, and Expertise. He has written more than 400 scientific and popular articles on music and neuroscience appearing in The New York Times, Nature, The Atlantic, and Rolling Stone. His most recent book, The Organized Mind: Thinking Straight in the Age of Information Overload, is the basis for his talk at NSU and the college's Honors Reading Seminar offered in winter 2015. The book combines neuroscience research with the author's experience consulting for Apple, the U.S. Navy, AT&T, and Wells Fargo. Levitin explores how we can use the brain's natural operations and adaptability to create effective and efficient systems that can help us organize our minds and our lives. Levitin's previous book, This Is Your Brain on Music, spent 16 months on The New York Times best seller list. It details the psychological and scientific impacts of music, from its composition and performance to why we enjoy it. The book became the basis for two award-winning documentaries starring Levitin, Bobby McFerrin, and Sting. His next bestseller, The World in Six Songs, revealed how music shaped humanity across cultures throughout history and enabled the social bonding necessary for society to evolve. 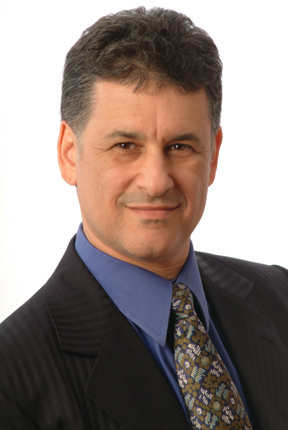 Levitin has dedicated much of his career to exploring how the brain works, and in particular, the brains of highly successful people and accomplished musicians. The recipient of 14 gold and platinum records, Levitin first found success as a musician, record producer, and label executive. He has performed with Bobby McFerrin, Rosanne Cash, and David Byrne; consulted on albums by Stevie Wonder and Steely Dan as well as the films Pulp Fiction and Good Will Hunting; and served as VP and President of 415/Columbia Records. As part of the college mission to prepare students for rich professional careers and active citizenship, the college frames co-curricular programs and experiences around a broad annual theme that unites our community in interdisciplinary exploration. The academic theme for the 2014-2015 school year is "Identity." Levitin spoke on this theme.